First Minister Mark Drakeford has received the M4 relief road public inquiry report - a year after the exercise was completed. The inquiry finished last March, and civil servants have been analysing its findings since November. Ministers are yet to decide whether to go ahead with the scheme, thought to be worth £1.4bn. A spokeswoman for the Welsh Government said the first minister would now "take time to read and consider" the report. Recently Welsh Secretary Alun Cairns said he understood the report recommended going ahead with the new road - which would see a six lane motorway built south of Newport to bypass the Brynglas Tunnels. M4: Can Newport learn from Newbury? The Welsh Government has been under pressure from businesses to move ahead with making a decision. According to a Welsh Government statement, the report is 558 pages long and comes alongside technical advice prepared by officials. It had been expected that the previous first minister, Carwyn Jones, would make a decision on the matter while he was in post, but that did not come about. The M4 relief road has proved divisive within the assembly and even among the ruling-group of Labour AMs. Mr Drakeford has not stated his intentions but is widely thought to be a sceptic about the project. AMs have been promised a Senedd vote on the project. A Welsh Government spokeswoman said Mr Drakeford "will now take time to read and consider that report and the advice that accompanies it carefully and pursue any questions arising from that advice". 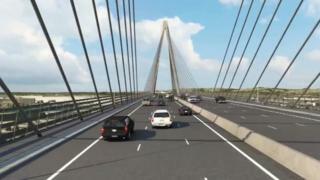 M4 relief road: Can Newport learn from Newbury?